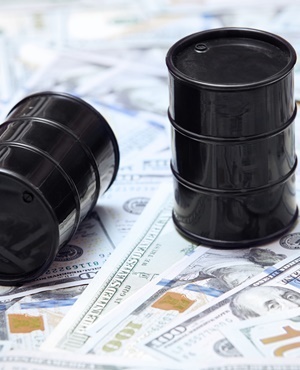 Oil rose after the biggest weekly loss in two months as speculation of a crude supply shortage took precedence over escalating trade tensions between the world’s two biggest economies. Futures gained as much as 1.1% in New York after last week’s 2.9% slide. South Korea didn’t receive any oil from Iran last month as the US pressed its allies to curb trade with the OPEC member before sanctions take effect in November. Trouble flared in another OPEC producer as the headquarters of Libya’s National Oil was attacked by gunmen. Traders are weighing up the risk of supply shortages against the US-China trade dispute which could curb economic growth and fuel demand. President Donald Trump ratcheted up the confrontation on Friday, saying that he’s ready to tax all imports from China at short notice. Oil is up 13% this year, but has dropped about 8% from a high in June. West Texas Intermediate for October delivery rose as much as 77 cents to $68.52 a barrel and traded at $67.99 on the New York Mercantile Exchange as of 8:22 am local time. Prices declined by $2.05 last week. Total volume traded on Monday was about 17% below the 100-day average. Brent for November settlement climbed as much as $1.09 to $77.92 a barrel on the ICE Futures Europe exchange, after dropping 0.8% last week. Brent’s premium to the US marker is on course for the widest close in almost three months, with the global benchmark trading at a $9.32 premium to WTI. Hedge fund bets on rising Brent prices jumped to the highest in two months early last week, according to data released on Friday. South Korea became the first of Iran’s top-three oil customers to fulfil a hard-line US demand that buyers cut imports to zero ahead of sanctions to be reinstated in November. The Asian nation didn’t import any crude from the OPEC member last month, compared with 194 000 barrels a day in July, tanker-tracking and shipping data compiled by Bloomberg show. “The supply situation involving Iranian crude is likely to support prices for the time being,” Will Yun, a commodities analyst at Hyundai Futures, said by phone from Seoul. “But it’s going to be a volatile market with a number of other factors weighing in, such as the US-China trade conflict. Libyan security forces overcame the gunmen who attacked the offices of the state-run oil company in Tripoli, as militias clashed with government-backed forces. NOC chairperson Mustafa Sanalla was evacuated from the building and told Libya Channel TV later that “a number of blasts” had hit the company’s headquarters. • Fragile supply from countries such as Venezuela and Libya may tighten oil markets this year, and US output will remain stuck with a pipeline bottleneck until new connectors come online next year, International Energy Agency Executive Director Fatih Birol said in a Bloomberg television interview last week. • Maxed-out pipelines in America’s busiest shale basin took a toll on drilling activity, with the number of working oil rigs falling by two last week, according to Baker Hughes. • The return of fuel subsidies in emerging markets including Brazil and Indonesia is supporting oil demand in the face of higher prices, according to IEA’s Birol. • World spare capacity, essentially held by OPEC and Russia, is likely to be lower than what the market has historically needed to avoid price volatility, industry consultant FGE said.